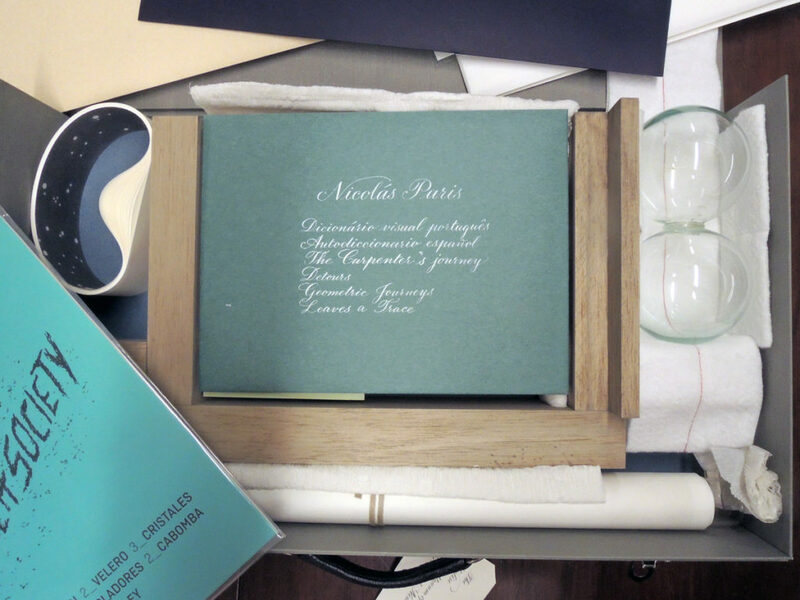 The Valise, a collective artists’ project, unites seven South American artists—Johanna Calle, Mateo López and Nicolás Paris, Maria Laet, Rosângela Rennó, Matías Duville, and Christian Vinck Henriquez—with the Argentine writer César Aira. 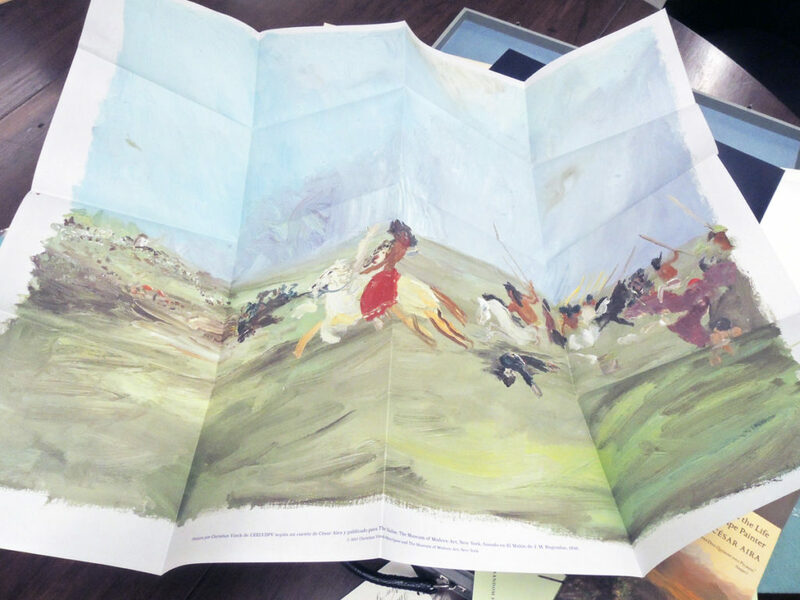 The project, published by the Library Council of The Museum of Modern Art, arrived this morning and we are still unpacking. 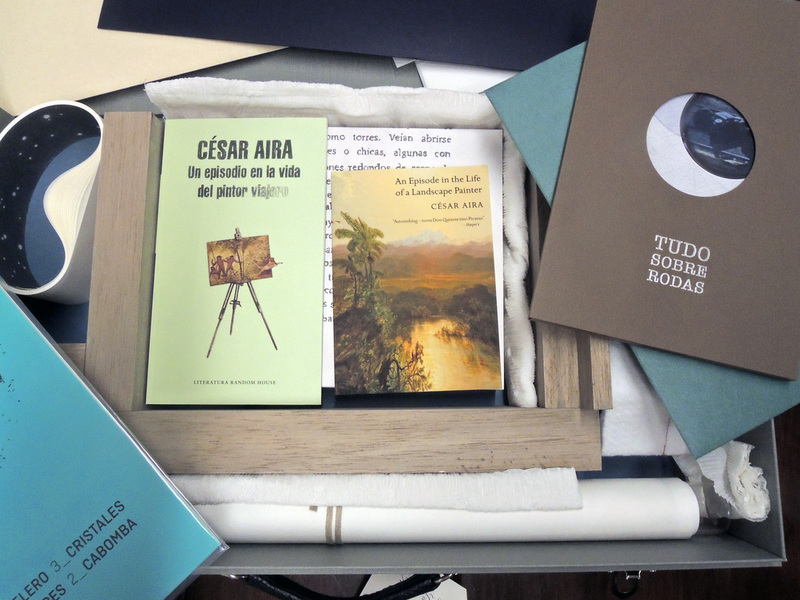 The works were made in response to the idea of travel and to Aira’s novel Un episodio en la vida del pintor viajero (An Episode in the Life of a Landscape Painter), with both the original Spanish edition (2000) and the English translation (2006) included. The novel concerns the surreal story of an 1837 journey through South America by the German painter Johann Moritz Rugendas, an associate of the explorer and naturalist Alexander von Humboldt. 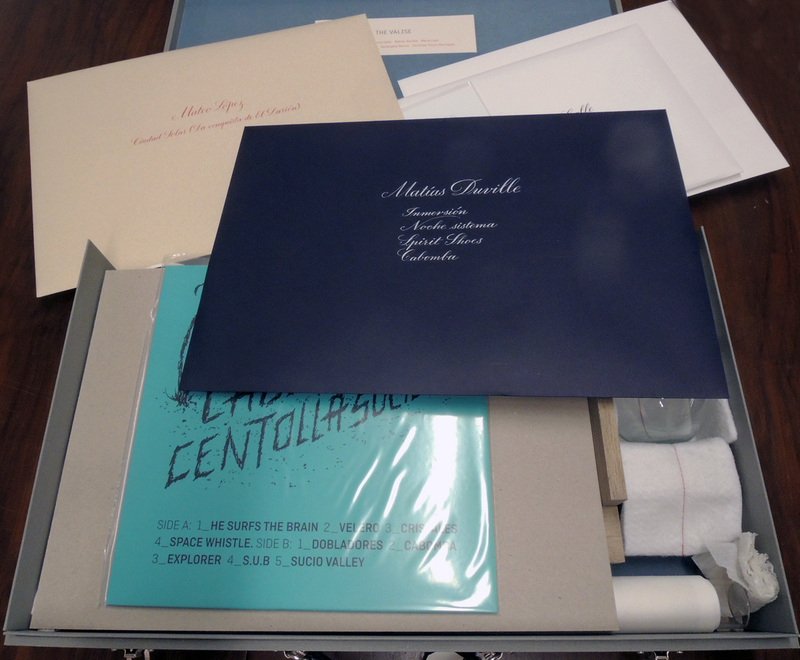 Stored in a special valise or carrying case, the works include original prints, maps, artists’ books, airmail envelopes, origami toys, posters, a sound recording, and a hand-blown glass sculpture, all reflecting the artists’ shared affinity for geography, travel literature, and bookmaking. 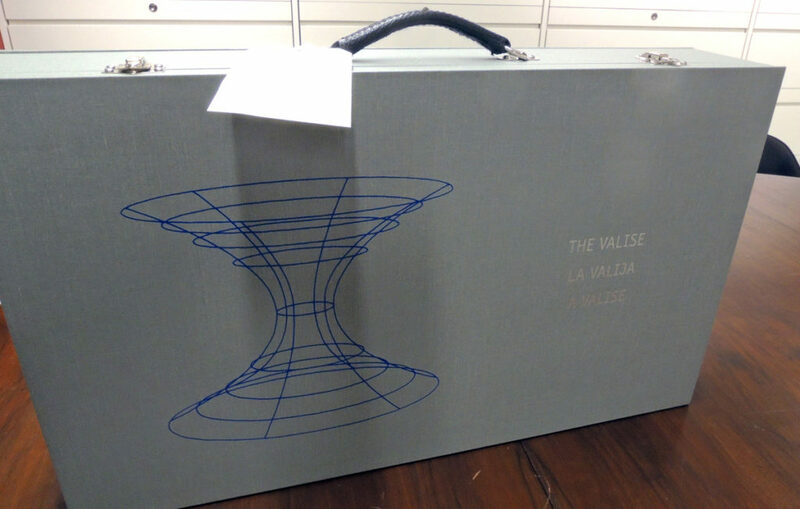 The Valise was conceived, edited, and organized by May Castleberry, Editor, Contemporary Editions, Library Council Publications. 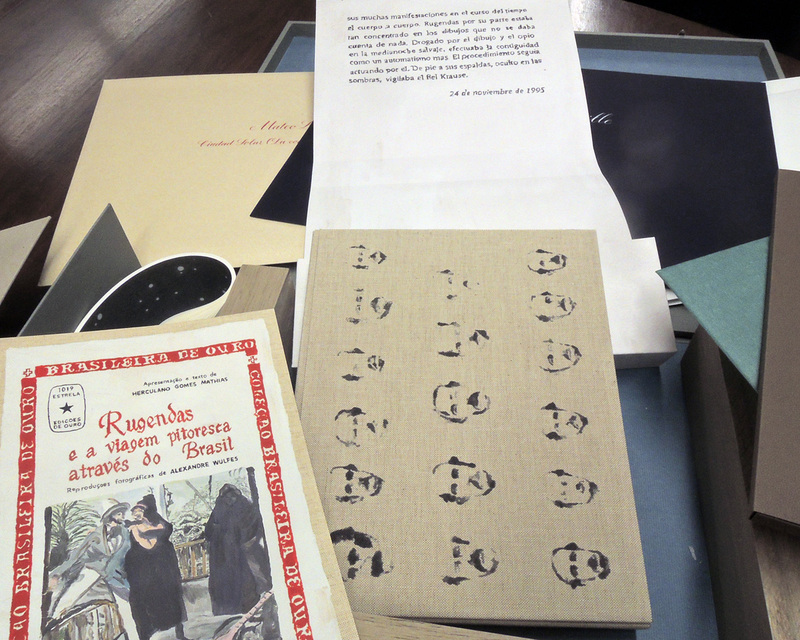 Latin American Studies and the Graphic Arts Collection are collaborating on the purchase of this very limited edition. 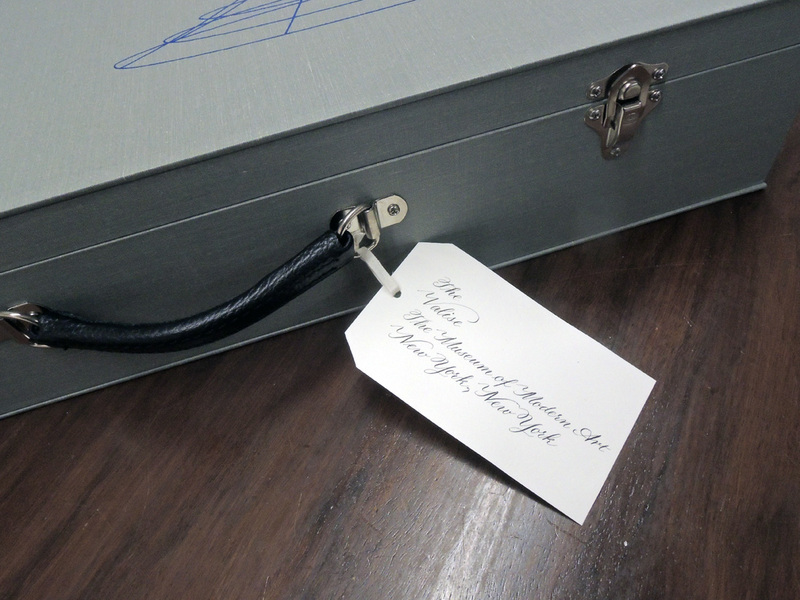 The Valise is published in a signed edition of 100 copies for the members of the Library Council of The Museum of Modern Art. A deluxe edition of 25 copies is available for purchase. 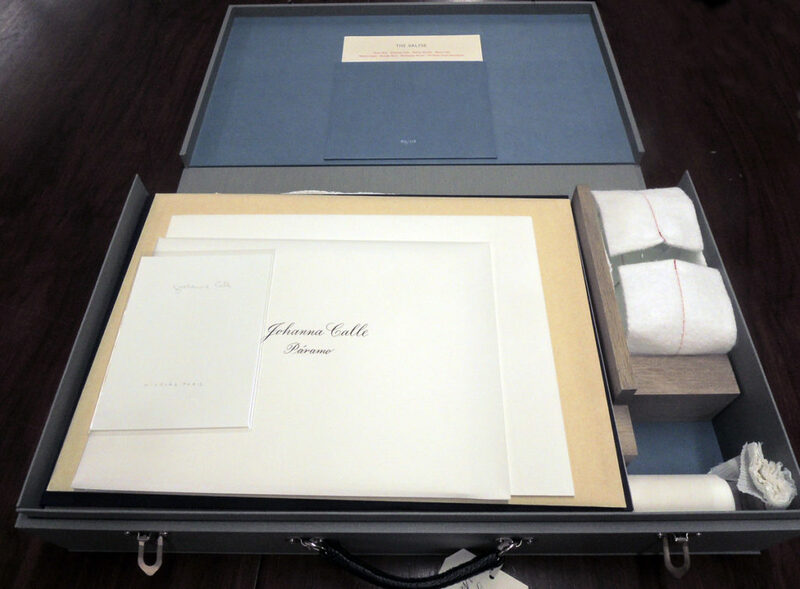 (The deluxe edition includes hand-cut paper architecture by López; a second original woodcut print by Duville; a Paris design, hand-painted in metal leaf, on the carrying case; and signatures on many of the individual pieces.) 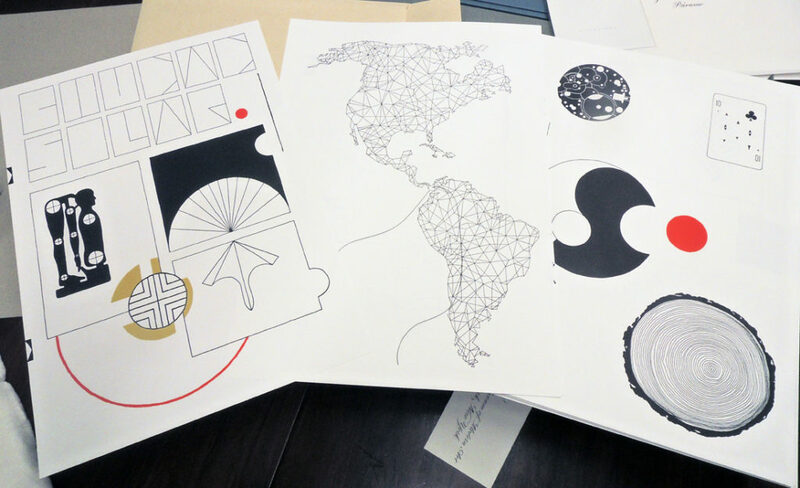 An additional 10 artist copies of each of the two editions go to the artists and other collaborators. This entry was posted in Acquisitions, Artists' books, prints and drawings on August 7, 2017 by Julie Mellby.